Kat Houseman is currently living and working out of Bellingham, WA. She grew up with a passion for wildlife and western art, after frequent visits to the CM Russell Museum and Auction. In 2005 she received her BFA in Fine Arts from MSU Bozeman. 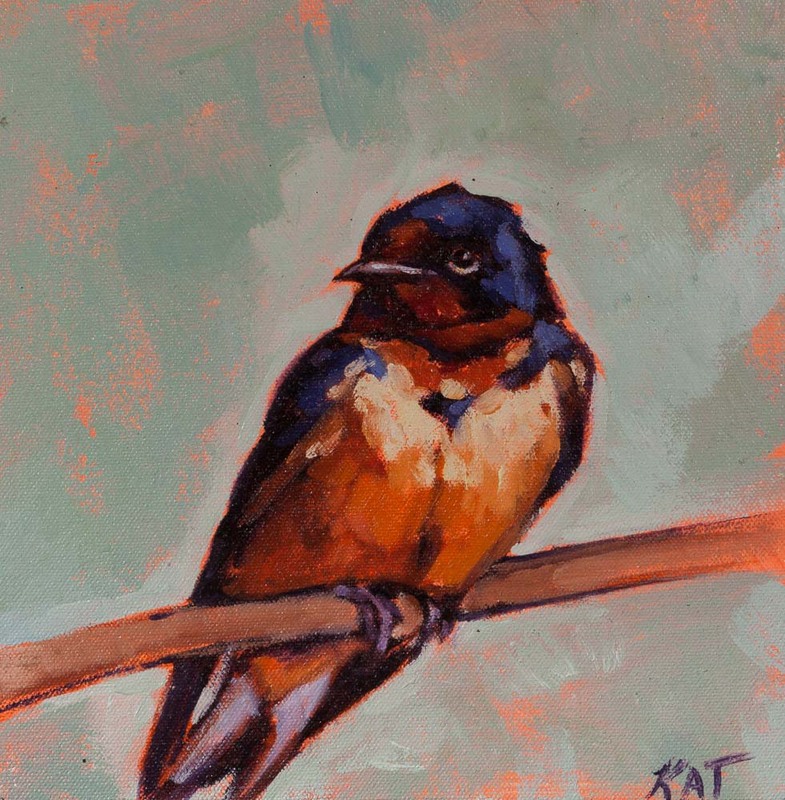 While studying contemporary art in college her personal work began to evolve; birds became a common subject, colors became brighter and bolder, and brush strokes looser. She then relocated to the Pacific Northwest, spending six years in Bellingham, WA. There Kat had the chance to study shore birds and the various ocean mammals. Working in oil, Kat “allows the paint to be paint” with drips, washes and some build up. She works strictly in the Alla Prima style and only produces original one-of-a-kind paintings. Her work can be found throughout the western half of the US, in galleries and private collections. Kat is represented in Montana by Frame of Reference Fine Art in Whitefish.